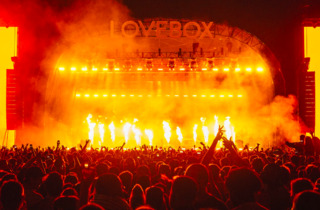 Consistently one of the finest festivals in London, catering for cool kids and party monsters alike, Lovebox generally packs as much fun into two days as many festivals manage in three. This year will be its second in west London's Gunnersbury Park, but the vibe hasn't changed since its many years out east. The 2019 line-up is especially stellar, with headliners Solange and Chance the Rapper topping a quality bill that includes south London hip hop king Loyle Carner, rising star Lizzo, Northampton rapper Slowthai, hip hop boyband Brockhampton, innovative beatmaker Kaytranada, superstar European DJ Solumun and the legends Cyprus Hill playing their iconic 1993 release ‘Black Sunday’ in full. In short: it's one not to be missed. I went on the Friday this year because of the line-up (Stormzy, Kano, Katy B - brilliant). The vibe was live and there were a strong selection of food stalls, including Voodoo Rays, Mama Jerk and DF Mexico. My only qualm was that the performer stage times weren't available on the grounds. I know you could find these on the website, but it would have been nice if these featured on the big screens or signs. It was a bit nightmarish to work out who was playing where, at what time! A really great day festival to go to. Getting in and out is pretty painless, the food options are good and they always have a really varied and interesting selection of music going on. Nice friendly atmosphere with loads of stuff happening other than just music. I went to Lovebox on Firday and was amazing. Would point out the music itself (by top hip hop bands) and also the venue: there was a dancing floor for skaters and other attractions. People attending the festival was also quite easy going. I just regret i couldnt attend the after party! 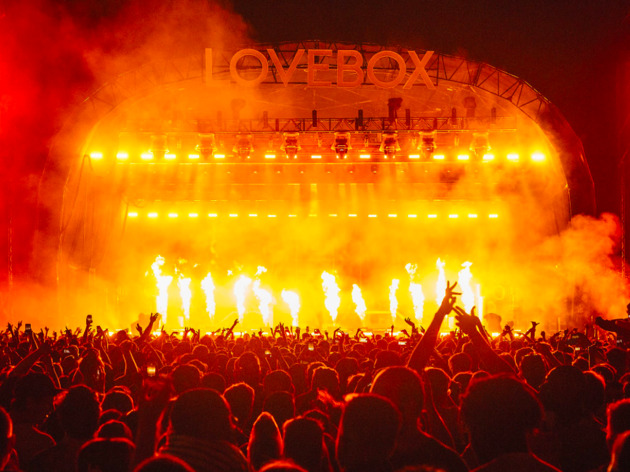 I think 2014 saw Lovebox raise its game considerably, while the line-up has always been impressive and perfect for those that want to dance it off all day in the sun last year there was a much much better focus on good food and drink, smaller party spaces and experiential fun. Between stages there was so much on offer which felt like a much more rounded experience and also helped to disperse the crowds between performances. I agree the bars seemed under pressure after about 6pm. Looking forward to this being addressed this year for a much better all round day out. It's also an absolutely terrible festival for visitors. I 100% agree with the below comment that the organisers are only interested in making a profit. There were way too many people for the amenities avaliable, you have to queue for hours for everything and the map that you buy there is horrendous!!! We could not find the manor at all and the bearded kitten manor was not even listed to use for a point of reference! What a total ans utter waste of money and a day!!! I will never go here again! Terribly unpleasant event for local residents. Large part of the beautiful park cordoned off for over a week - no access to band stand or running track, excessive noise, drug dealers on every corner, people urinating everywhere. Last year it took months to put the park back to normal. Greedy organisers interested only in making profit - completely disregarding local community. There are so many events, festivals, concerts, sport events every year in Victoria Park and none of them creates such damages and increase in criminal activities as this one.